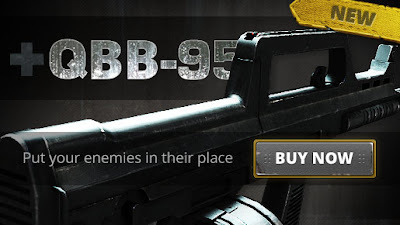 The QBB-95 (Type 95) (Chinese: 轻武器, 步枪, 班用, 1995; pinyin: Qīngwuqi, Bùqiāng—Bānyòng, 1995; literally "Light weapon, Rifle, Squad based, 1995") is the light support weapon variant of the Chinese Type 95 family. 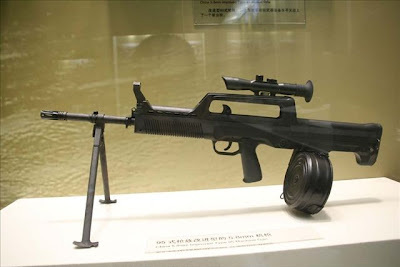 Based on the QBZ-95, the standard issue to most PLA units, most parts and ammunition of them are interchangeable (while small number of units are issued with Type 56, Type 81, or Type 03 Assault rifle, the latter of which also chambers the same 5.8x42mm DBP87 round). 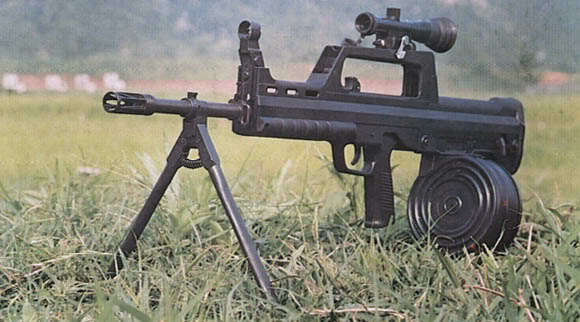 This family includes a standard Assault rifle variant, a compact carbine variant and this particular light support weapon/Squad automatic weapon variant. 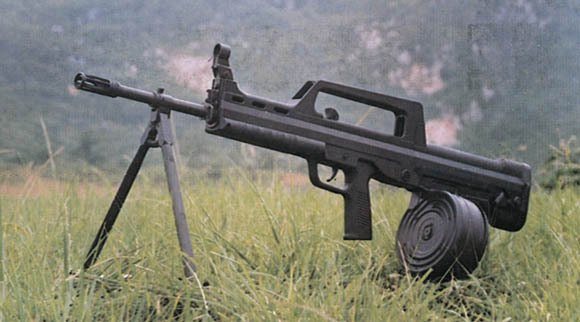 The longer, heavier barrel and 80-round drum magazine of the QBB-95 allow sustained firing, however the standard 30-round box magazine is also compatible. 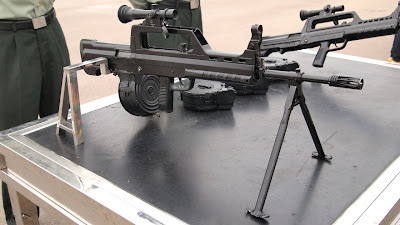 Though the QBB-95 and QBZ-95 both take 5.8x42 mm ammo, the QBB-95 normally uses DBP88 "heavy round" machine gun cartridges, which have longer range, deeper armor penertration and better ballistics at long range. 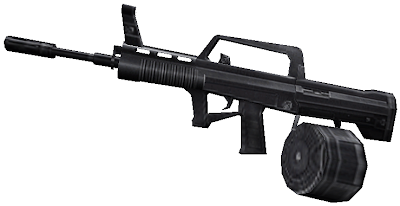 As using the heavy rounds on a QBZ-95 would greatly wear the barrel and action, normal cartridges are used on QBZ-95 rifles. However, with the fielding of the QBZ-95-1 variant, newer and heavier DBP10 cartridges will become the standard ammunition for both weapons. 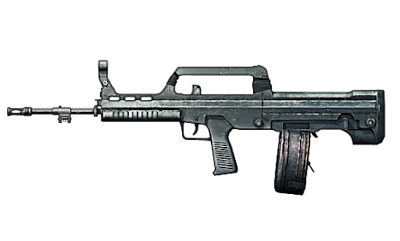 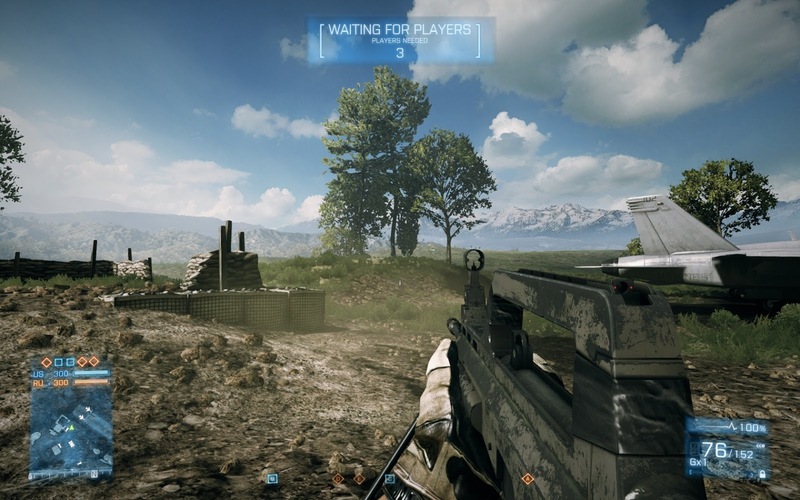 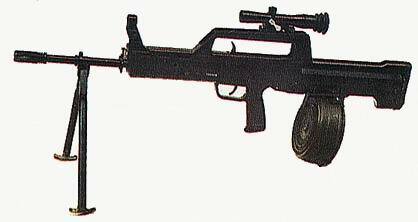 Following the development of the improved QBZ-95-1 rifle, its features were developed into the QBB-95-1 LSW. 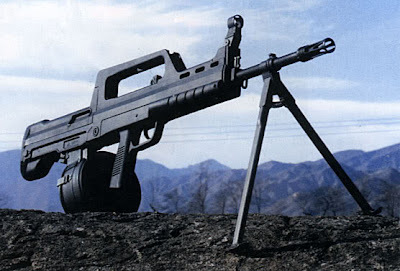 As a squad machine gun, it already had the barrel features to fire heavy DBP10 ammunition, so the ergonomic enhancements of the new rifle design were incorperated into the new QBB-95-1.